If P.E.I. does vote to move to a mixed-member proportional electoral system, it will be joining a number of other places around the world. 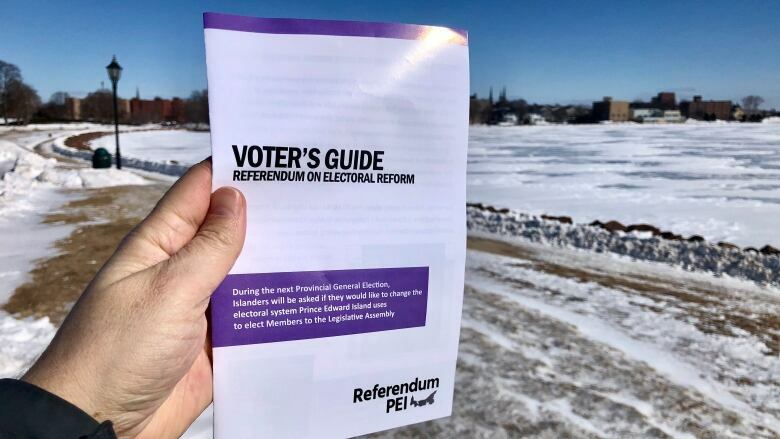 Island voters are being asked a referendum question when they go to the polls to select a provincial leader April 23. Voters will be asked if they want to stick to the first-past-the-post system or if they want to adopt a mixed-member proportional electoral system. One of those is New Zealand. The system allows voters to cast a ballot for a constituent and one for a political party. Residents of New Zealand were asked a number of times about changing the voting system before the mixed-proportional system was adopted. The system has been reviewed since and is still a work in progress, according to Lara Greaves, a political scientist at the the University of Auckland. In the 1970s, the centrist Labour Party got the highest percentage of the vote, but didn't form government. "Then we had an election in 1981 where a party got 21 per cent of the vote … but only two seats in parliament," said Greaves. "So, people kind of got a bit annoyed with our system." During the 1993 election, New Zealand asked citizens if they wanted to change the voting system to the mixed-proportional system and the proposition won. "We kind of got used to the system over a number of elections," Greaves said. However, in 2008, under the mixed proportional system the election had a strange result. One party won 4.1 per cent of the vote but no seats. Another got 3.6 per cent of the vote and got five. That caused a controversy that led to a review of the system in 2012, Greaves said. It is still being refined. "It looks like in the next election we're actually going to have a referendum, but just on the nuts and bolts of MMP." However, people seem to like to like the system. Greaves said in the last referendum in 2011 the system received more support than it did when it was adopted. The last review shows 58 per cent support. But some citizens still have concerns about it, Greaves said. They are mostly around a vote for a candidate in a local district and then a separate vote for a political party. "What's been happening is parties have doing deals to get party coalition parties in," Greaves said. "So you either need to have that one electorate seat or you have to get five per cent of the party vote."